What People are Saying about Daufuskie Island! 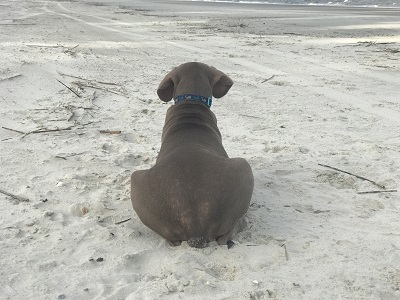 This was shared with our Daufuskie Island Community and I feel is too sweet not to share with you! Daufuskie Rental Group VRBO Review #22572707 “OCEAN FRONT 'BLUE FUSKIE' COTTAGE - FREE CART - FABULOUS!! ”Fantastic Family Getaway! I cannot say enough about Daufuskie and this particular property. The cottage is beautiful and in the perfect location. While it is a duplex, not once were we made aware of the renters on the other side. It 100% feels like your own house. The bedrooms are huge with very comfortable beds--the showers are awesome...better than my own home! The view from the living room/sunporch is spectacular. The ocean is just steps away--and from the beach in front of the cottage we enjoyed quiet and private morning walks, lazy afternoons in the sun and excellent fishing! You could enjoy your whole vacation without leaving this beautifully decorated, comfortable cottage. But you should leave and explore! The island is the most unique and amazing place. We visited School Grounds coffee shop almost every day and visited with friendly locals--not to mention Brian and Pam, the incredibly hospitable owners! Lucy Belle's is a great stop for a delicious (and HUGE portioned) lunch--and the Daufuskie Crab Co. provides a lively crowd for a weekend dinner...right by the water. The artisans at The Iron Fish Gallery, The Daufuskie Rum Co. and Silver Dew Pottery are amazing! From Brandi the golf cart gal to the kind local man who gave my teenage son ocean fishing tips...the people of Daufuskie are what made this vacation truly special. They are all so friendly and interesting. Deborah was like having our own concierge. We were able to text her any time with questions and she responded immediately. She is a true expert on how to get the full Daufuskie experience-and takes great pride in her job. You won't be disappointed if you rent this or any other of her properties. Another highlight was the church service on Sunday. The locals were so inviting--it's a great experience no matter your religion. The church itself is a piece of history and we felt like we were really experiencing a part of America that is not often seen. We were so glad we made the effort to do this on the first full day of our trip--we highly recommend it.If you're looking for a unique experience and to get away from the hustle of tourist traps and the "grid"....Daufuskie is the place. We are so thankful to have found it--and to have had the opportunity to show our 15 and 18 year olds this simplicity and to have them experience first hand that we are all so much more the same than different. Thank you Deborah--and thank you Daufuskie! We will be back!